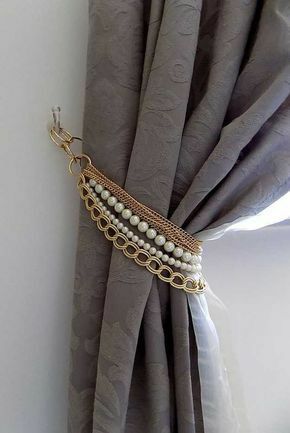 For you who love to give attention to detail, even choosing curtain and its tie back can be really fun. 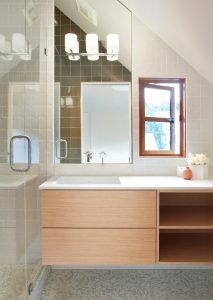 It will depend on the nuance of the room that you want to achieve, the colour of the curtain, and how you want people to see you through everything you pick very carefully in your room. 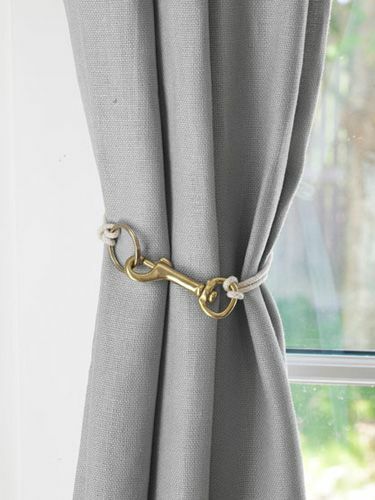 And because of that, surely looking at these great ideas of curtain tie backs will actually be helpful. 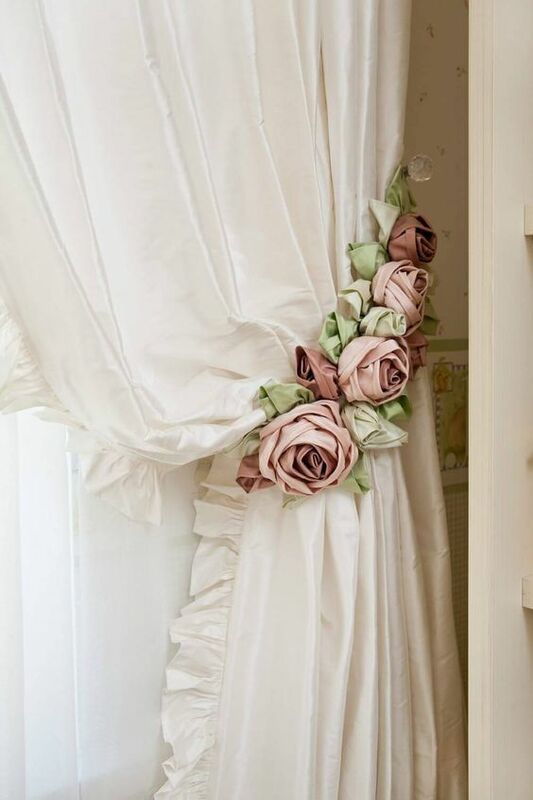 One of the ways to beautify your curtain is by tying it back with a line of beautiful flowers from linen. 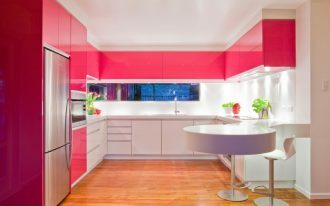 It will give the room the impression of feminine and soft aura. 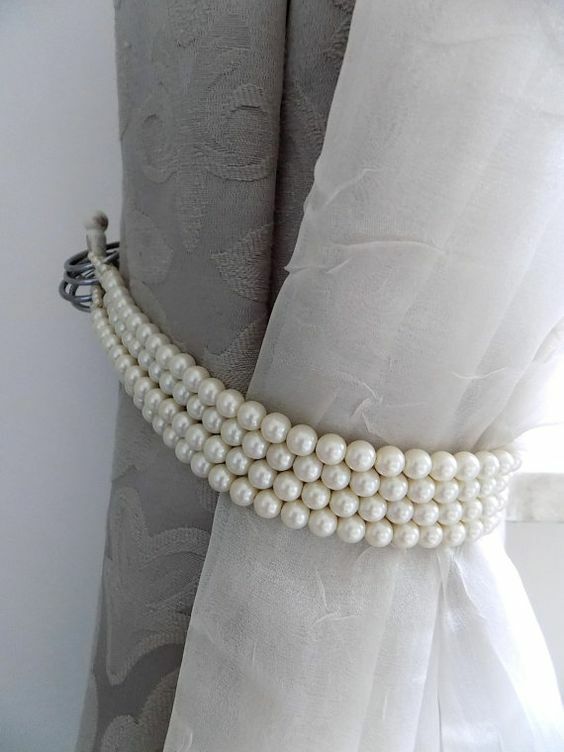 This pretty little thing will make any curtain, no matter how plain it is, has stronger impression. This is another pretty thing to tie back your curtain and let the sunshine through your room. It is usually seen in accessories for clothes but it looks really pretty seen on the curtain too. 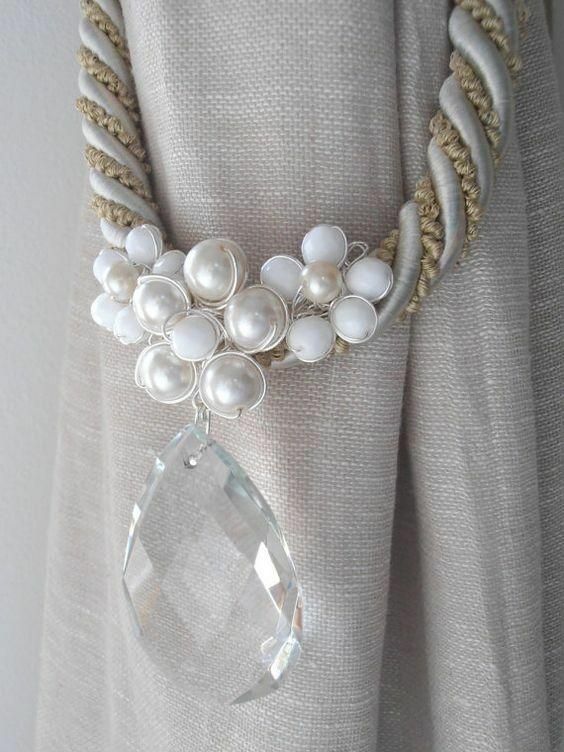 If you’re looking for another pretty idea to chain your curtain opened, this one offers you a great one. It combines pretty golden chains and white pearl. If you like to go more industrial and practical because you don’t like the thought that the curtain might go loose, you can try to lock it securely like this picture. 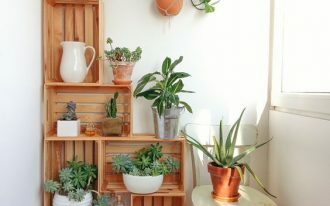 The previous ones are obviously pretty but not all of your room need a pretty touch. 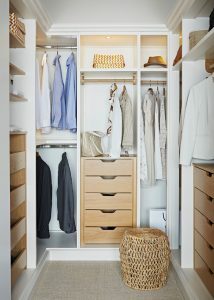 Sometimes, there is a room that needs a cute touch like children’s room. 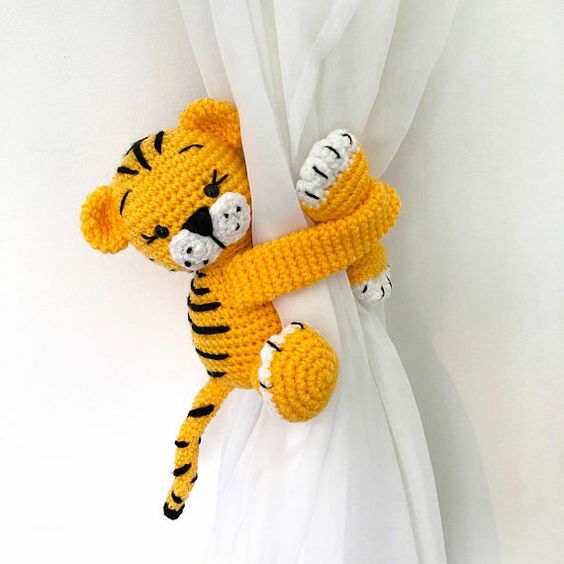 And if that’s the case, this mini tiger can help you out. Hugged by this mini creature, your curtain, no matter how plain it is, will be brighter. Now, for you who fancy something simple to do where you don’t have to tie anything and you just want the simplest shift and that’s it, well this hook thing can help you the best! It only needs to install a little bit longer than the hook with chains. 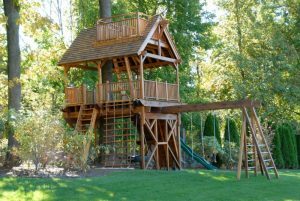 As it is permanently installed, you don’t have to replace it regularly. For you who like to keep it as simple as you can, this small dot will delight you. Still for you who love hook, but you want to play with more accent, the best thing is, it comes with various shape. 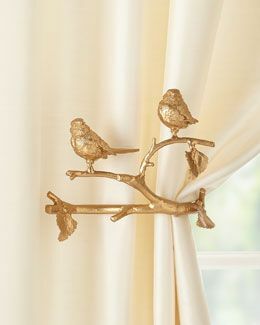 Like this one in the picture, you can see golden branch with birds enjoying bask of sunlight from the window. Similar with the previous one, this one also use hook to secure the curtain from closing the window. 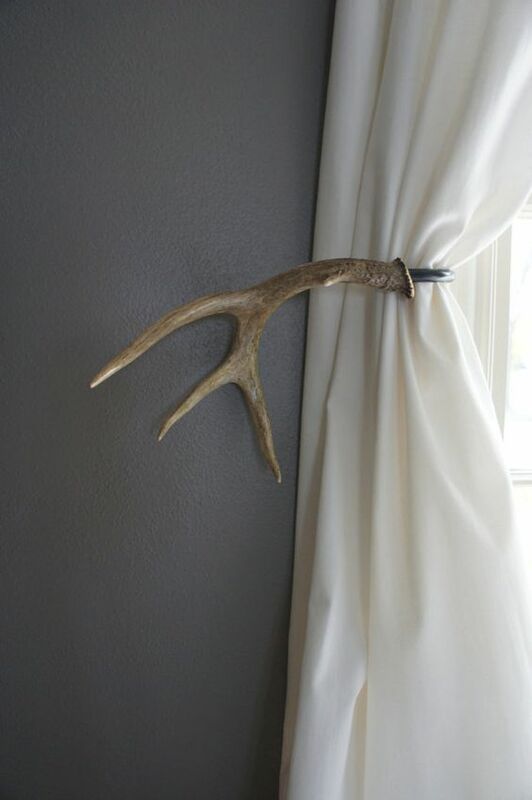 And it uses a mini antler that offers rustic feeling to this tiny spot. 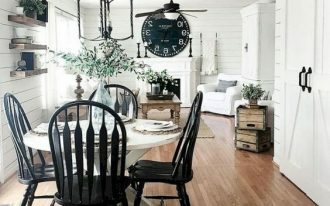 IT will look especially good for a rustic themed room. 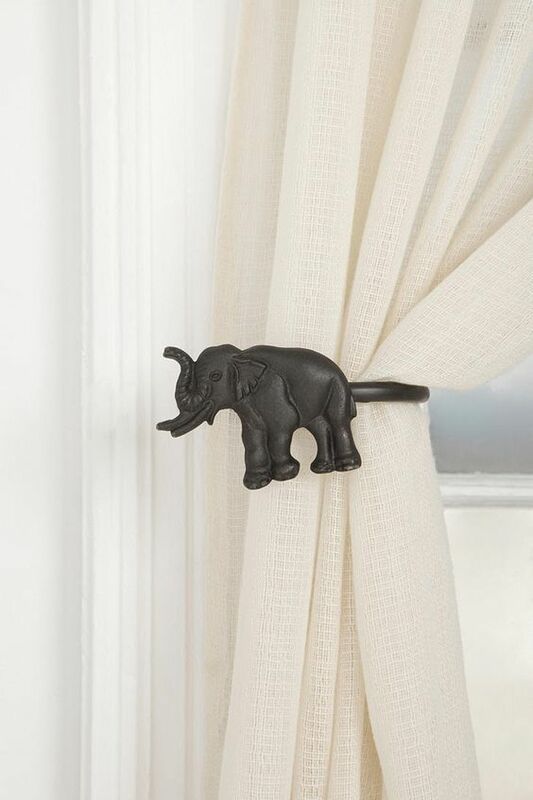 And the last hook here is a cute black metal elephant with its power to secure the clothes to cover the sunlight. This black elephant brings more natural feeling to the room.